Pärnu is a special place that embodies the history and spirit of the orchestra, my own family and Estonia as a whole. It is a quiet seaside resort on the Baltic coast, south of Tallinn, where all the Järvi family gathered for two months every summer. With its large and sheltered sandy bay, endless parks and surrounding birch forests, Pärnu has always been a favourite holiday destination and, during occupation, it was also the summer home of many Soviet artists including Dmitri Shostakovich and David Oistrakh who visited for the nearest thing to western tolerance and understanding in the Soviet Union. A holiday any closer to the West was not possible for any of us. It was here in 1973 that I met Shostakovich together with my father when I was ten years old, a moment captured on camera and which now sits proudly in the family photo album. Behind the camera was Gustav Ernesaks, the Estonian choral conductor and composer whose song, Mu isamaa on minu arm, became an unofficial national anthem for all Estonians during the Soviet occupation. In 1980 we left for the States and for years to come, memories of childhood holidays in Pärnu became increasingly distant and nostalgic. Only after the collapse of the Soviet Union and the renewed Independence of Estonia were we eventually allowed to return home and, following my father’s initiative in creating a conducting Masterclass Academy in Pärnu, we decided to expand the venture into a summer festival, celebrating the orchestra at its heart. In July 2011 the Pärnu Music Festival came into life and so did the Estonian Festival Orchestra, bringing together young Estonian players and top-league musicians from orchestras around the world; musical colleagues with whom I have had the pleasure to work with on numerous occasions over the years. It was immediately clear that another family had been born with a hunger and energy for performing together which is a rare joy to find nowadays. An important component in creating the orchestra was to “match-make” the players. If you are a young player in Estonia, it doesn’t matter how good you are, it’s not often easy to make contact with a top player in the west. Now we can give these young musicians the advantage to play with elite players from abroad and get to know them as new friends. This spirit is what drives the orchestra and it is a delight each summer to see how those relationships have grown naturally, creating a melting pot of national and international talent where nationality is happily and importantly no boundary. The week of the festival is intense and everyone gives their utmost in a schedule packed tight with rehearsals, master-classes and concerts, following which we gather together in what is now traditionally known as the “real festival headquarters” – the Passion Café, where friendships are forged and new plans for the future are hatched. It is a remarkable coincidence, and one which is never lost on me, that in the very same building where the Passion Café now stands there used to be a printing house where the manifesto for the Estonian Declaration of Independence was first printed in 1918. It is often said that there is something in the Estonian air that is a mixture of Scandinavian, German and Russian influences and, even though we have our own very strong national identity, it is true that we also have a natural feeling for neighbouring cultures as a result of our historical and geographical position. So the idea for the Estonian Festival Orchestra is to explore music by composers from across the Baltic region, which naturally includes championing Estonia’s own composers and music from the Nordic countries as well as music from Poland, Russia and Germany, countries with which our history is strongly interlinked. 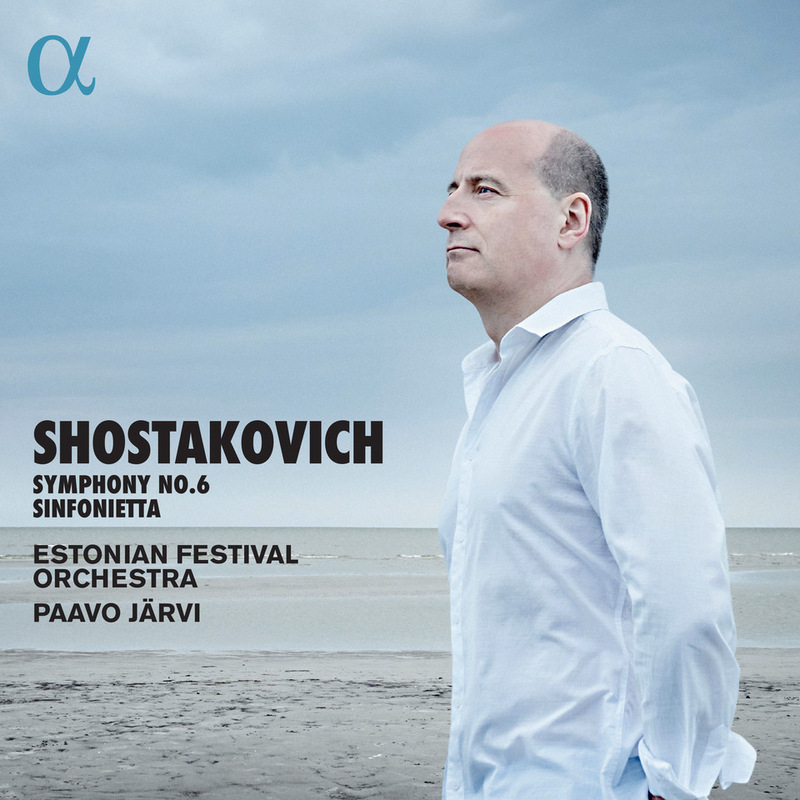 For our first recording I have chosen the music of Shostakovich, not only because he is one of the giants of 20th century music but also because of his connection to Pärnu where he both stayed and composed. Symphony No.6 is a masterpiece but it also differs from all of Shostakovich’s other symphonies because it has an air of peculiar lightness. As the composer himself said “I wanted to convey in it the moods of spring, joy and youth.” Despite that lightness the subtexts are grim and after the first casual listen one can sense the composer’s struggle with the terror of living in the Soviet reality. The “Sinfonietta” is a 1961 arrangement for string orchestra and timpani of Shostakovich’s String Quartet No.8 compiled by the composer’s trusted friend, Abram Stasevich, and orchestrated with the composer’s personal blessing. Premiered one year previously, the Quartet is a musical autobiography describing Shostakovich’s life to that point, including citations of pieces that he had previously written and his own musical leitmotif – DSCH. It is a profound work dedicated “In memory of the victims of fascism and war” and which, when performed by the Borodin Quartet at his home in Moscow, left the composer in tears.